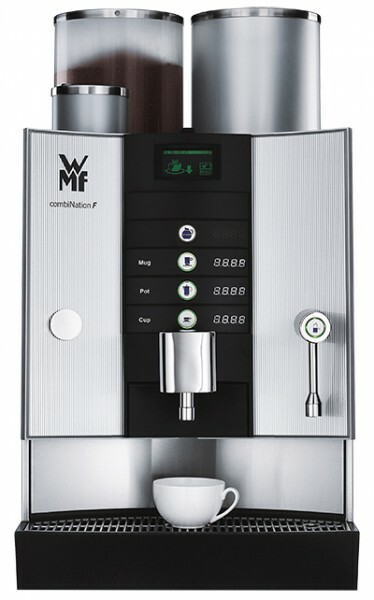 The WMF combiNation F is an all-around specialist when it comes to that excellent cup of coffee that needs to be produced in large quantities, over and over again. 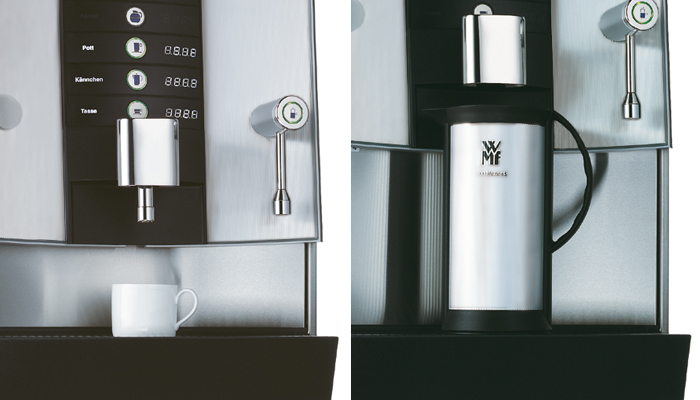 The WMF combiNation F reliably ensures first-class, coffee-time indulgence. This fully automatic machine can prepare up to 500 cups of filter coffee per hour, each one as superb as the next. 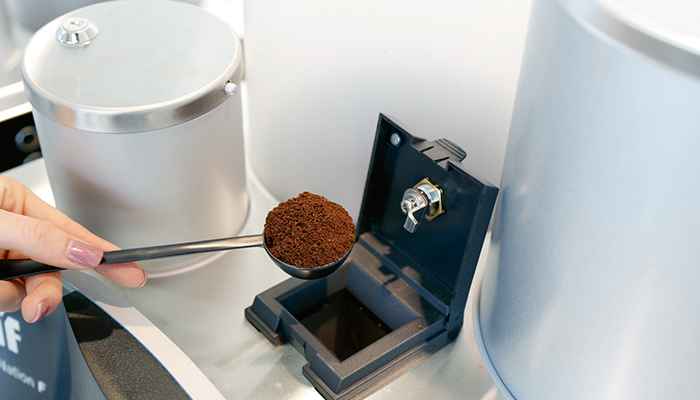 Variable brewing volumes and an optional height-adjustable front panel enable almost any size pot to be accurately filled. The intelligent storage urn ensures that even during peak hours, nobody needs to be kept waiting. Fills the storage urn via timer control. For quick replenishment during peak hours – ideal for self-service operations. Enables automatic, timer-controlled cleaning whether or not the machine is turned off. 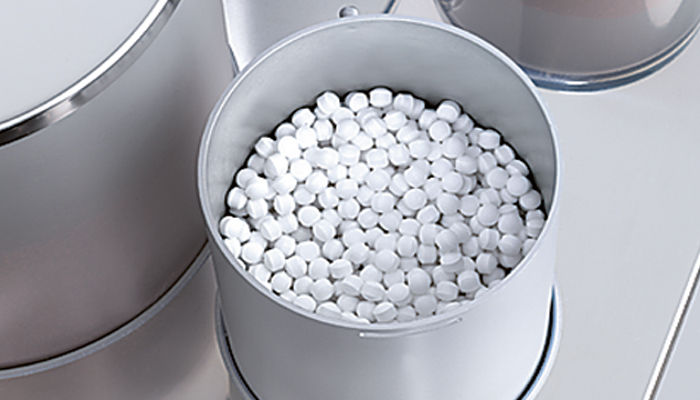 With a clearance height of up to 275 mm, almost any pot can be accurately filled. 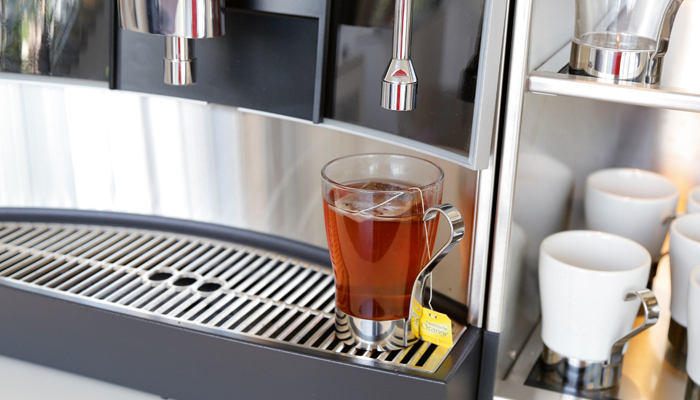 With the 13.8 kW version, up to 108 liters of hot water can be heated per hour. Additionally enables decaffeinated coffee to be used for individual cups. Holding four liters, it is aroma-sealed and precisely tempered. The timelessly perfect design also allows for unprecedented user friendliness. The clear arrangement focuses your view on the large, easy-to-use product buttons and the touch screen display. The operating mode and set brewing quantity can be read and varied here at any time. You can discover new worlds of flavour more easily. 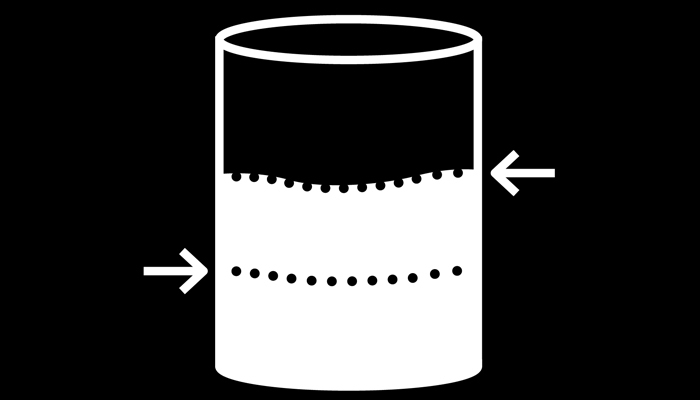 * Performance has been determined by machine with a fixed water supply and is dependent on cup-size, quality settings, discharge, configuration and nominal output. The recommended maximum daily output is based on our catalogued service concept. However, these average values serve merely as guideline. 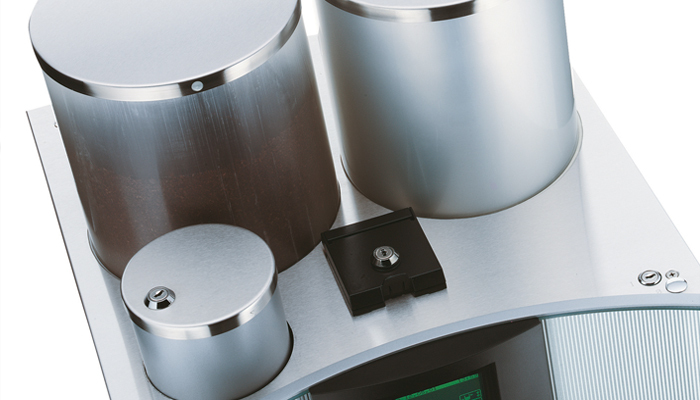 Let our trained WMF team match the ideal coffee machine design to your specific needs. ** Height including coffee bean hopper. *** The A-rated sound pressure level LpA (slow) and LpA (impulse) at service staff work stations is under 70 dB(A) in any operating mode. Not all options and/ or additions can be combined. Also available in "Black Edition"
We're sorry. Unfortunately there are no downloads available. For further information contact GASTRO-Export@wmf.de. Grounds separator for collecting of wet grounds, capacity 12 liters. 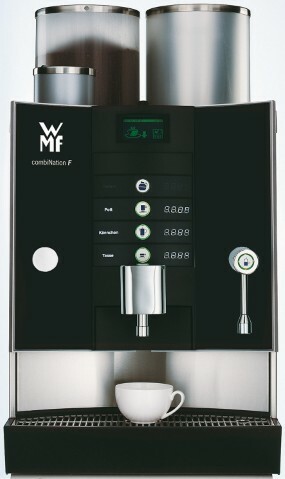 Only fit for installation in combination with a WMF combiNation F.